Thanks to Georgia’s incredible natural resources, outdoor recreation and sporting is a fundamental part of our Georgian heritage. Fishing, in particular, sits near the top of the list as one of my favorite outdoor activities. As Commissioner of DNR, it is my duty to protect and conserve these resources so that the sportsmen and women today, as well as future generations, can continue to appreciate them for years to come. 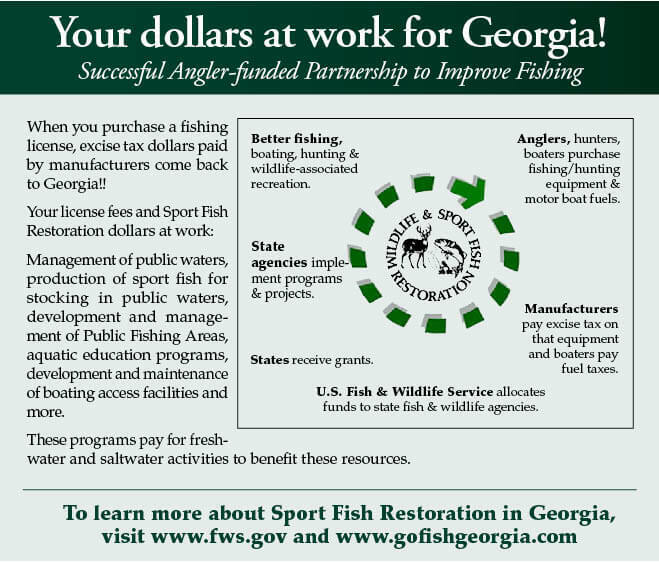 Considering that Georgia is home to well over a million licensed anglers, I know I am not alone in my appreciation and passion for this amazing sport. Here at DNR, we are so thankful to have such an ardent and unwavering community of supporters who do so much to keep fishing and other outdoor recreational activities alive. While a significant portion of our duties at DNR involve conserving the resources we currently have, we are always simultaneously searching for new ways to accommodate greater public access to state lands and waterways. Your continuous support through your license purchases allow us to continue these efforts. We have been putting your license dollars to hard work. 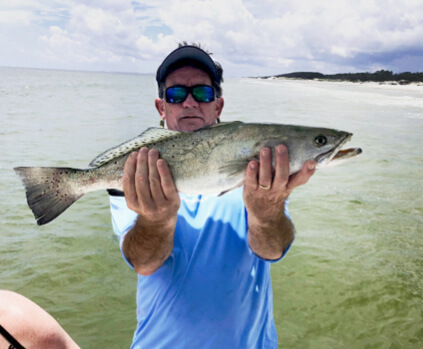 Every year, we stock around 1 million catchable trout in north Georgia. This year our goal was to target larger sized trout as part of our efforts and we have been successful with stocking more large fish than ever before. Additionally, we have expanded access on Public Fishing Areas by offering 24 hour-a-day access, giving anglers an opportunity to try their hand at night-time fishing. Also, this year we have added an additional fishing area, Silver Lake PFA, which is located at the southwest corner of the state. Georgia boasts some of the most diverse and respected fishing opportunities in the country due to its unique landscape. We anticipate these efforts will allow the public even greater access to such a fantastic past time. There are many ways you can support our efforts aside from your purchase of a license. Public awareness and action towards litter and other debris in our waterways is a crucial part of keeping our wildlife and its habitats pristine. There are also numerous opportunities to donate or volunteer with conservation organizations. We are so thankful for your continued support and appreciate you allowing us to fulfill DNR’s mission. I’m excited to see you all out on the water!